Common names: (subsp. capensis ) small ironwood , black ironwood, buchuwood, buckutree, false ironwood (Eng. ); kleinysterhout , basterswartysterhout, basterysterhout, bucku, buckuhout, swartysterhout, valsysterhout, witboekenhout (Afr. ); moraøane (North Sotho); igqwanxe, umhlebe, umnquma-swile (isiXhosa), umsishane (isiZulu) (subsp. enervis ) bushveld ironwood , rock ironwood (Eng. ); bosveldysterhout , rotsysterhout (Afr. ); moraøane (North Sotho); sinhletje (siSwati); musiri (tshiVenda); umsishane (isiZulu) (subsp. macrocarpa ) ironwood , black ironwood (Eng. ); ysterhout , swartysterhout (Afr. ); Eisenholz (German); moraane (North Sotho); sitimane (siSwati); musiri (tshiVenda); ugqwangxe, umhlebe, umnquma-swile (isiXhosa); umzimane (isiZulu). Happy the grandchild who inherits a garden shaded by a black ironwood tree, for they have grandparents of great foresight and intelligence. These trees are second in size only to the Big-tree yellowwoods of the southern Cape forests, and are at least as long-lived. Trees to 35 m tall (subsp. macrocarpa ) or 10 m tall (subsp. capensis ), or tree-shrubs 3-6 m tall (subsp. enervis ); the crown is spreading where it emerges from the forest canopy, less so otherwise. 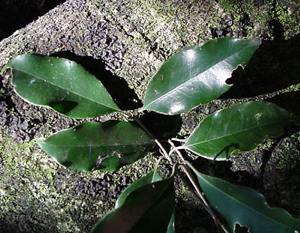 The bark is grey, with narrow longitudinal fissures; in subsp. macrocarpa abnormal forms with intermittently corky bark are known. The inflorescence is borne at the end of a branch, and is a short panicle of small white flowers; the calyx is minute, with a 4-toothed rim, and the corolla is tubular, not much larger, with 4 lobes. Two small stamens and a bilocular ovary complete the flower. The fruit of all subspecies is fleshy, becoming purple-black when ripe; in subsp. macrocarpa it is strikingly similar in appearance to the commercial Kalamata olive, (about 15-20 mm long), but in the other subspecies only about half that size. The wood is grey-brown to brown, straight-grained with an attractive figure, very hard and heavy (and therefore difficult to work but very durable), and oily; only the wood of subsp. macrocarpa is seen in pieces large enough to be at all common. In southern Africa flowering is in summer, from November to January, and fruit may be seen at any time of the year. 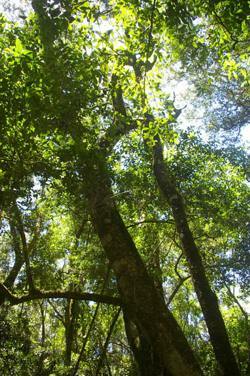 Like all olives, these ironwoods grow very slowly and are extremely long-lived. The Red List (Raimondo et al . 2009) lists all three southern African subspecies of ironwood as being of Least Concern. The species receives no more protection than is afforded to the vegetation in which it occurs. Von Breitenbach (1974) and Van der Merwe (2002) record black ironwood (subsp. 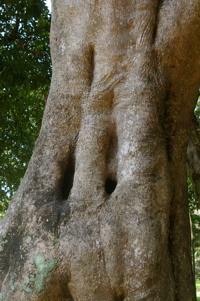 macrocarpa ) as an emergent tree in medium moist to moist High Forest in the southern Cape, where it is second in size only to the giant yellowwoods which are the big trees that attract tourists. Elsewhere in Africa it thrives in similar habitats, though possibly extending into drier areas in, for example, the Comores. The other two subspecies present in southern Africa are found in less favoured parts of the forest, and on seaward forest margins. Rock ironwood (subsp. enervis ) often grows in rocky places in Bushveld, from the Eastern Cape to Limpopo and beyond. Small ironwood (subsp. capensis ) ranges from Clanwilliam in the Western Cape around the coast to southern KwaZulu-Natal. 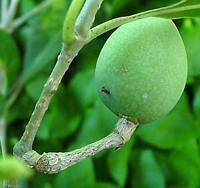 The Latin word olea and its Greek cognate elaia have signified an olive fruit, and by transference the tree, since earliest times; this is further indicated by the irregular declension of the word in classical Latin. The family Oleaceae comprises some 24 genera including 800 species, many of which are garden or agricultural staples, and others which deserve to be more widely known. Among the former we may number not only the cultivated olive, Olea europaea, but also Jasmine (Jasminum, many species), Ash ( Fraxinus, many species), true lilac ( Syringa , not to be confused with Melia, though both genera can be invasive) and privet ( Ligustrum ). Among the latter are Osmanthus (at least outside of its native China), Nyctanthes the sad tree - its flowers fall at dawn and look as if the tree has been weeping, and our own Chionanthus and Schrebera. 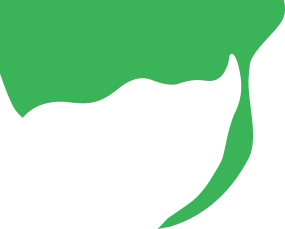 The most recent revision of our genus (Green, 2002) recognises 33 species, widely distributed in Africa, Asia, as far east as Indonesia and China, Australia and nearby islands, and the Mediterranean region as far west as Macaronesia. The genus includes not only one of the world's major agricultural crops, but also several important timber trees. The ironwoods, O. capensis, comprise five subspecies occurring in better-watered areas throughout sub-Saharan Africa and Madagascar. 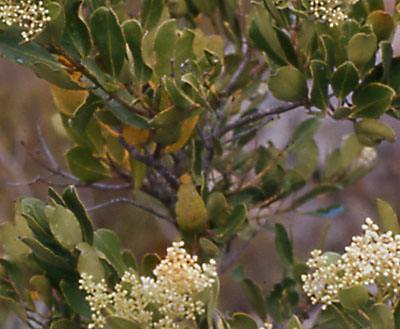 Black ironwood trees frequently reach heights of about 35 metres. This is about the same as the rooflines of the Temple of Heaven in Beijing, or many northern European cathedrals. Unlike the last named, the trees are not built with staircases up to the roof, and so canopy ecology of African forests is essentially unknown. However, examination of the flowers and fruits of the smaller subspecies, and indeed other members of the genus and family, allow one to make suggestions as to what a suitably airborne ecologist may expect to find. The flowers of all olives are small, white and faintly scented, so one may expect their pollinators to be small, night-flying insects. In the case of tall forest trees, it is almost certain that these are as yet undescribed. The fruits are fleshy and in some subspecies quite large, so becoming attractive to at least moderately large birds (such as pigeons and, where they co-occur with the trees - not in the southern Cape - Hornbills), and mammals such as monkeys, bushpigs and elephants. Most forest trees are intimately associated with root fungi (mycorrhiza) to the benefit not only of both obvious partners, but to many surrounding plants and fungi of different species. Finally, dead wood is recycled by a different suite of fungi, the fruiting bodies of some of which may be seen from time to time as mushrooms and brackets. Crous et al . (2006) pointed out some time ago that only about 5% of these fungi have ever been named. An authoritative source (Mabberley, 2008) informs us that ironwoods have the heaviest known timber, with a recorded specific gravity of 1.49. In other words, the timber of these trees sinks like a stone when put into water. Ironwood timber has long been respected, but its weight and hardness have to some extent limited its popularity, and it is not as widely encountered in antique furniture as, say, stinkwood, yellowwood or Indian teak. However, Hartwig (1973) reports the existence of antique ploughs and harrows made at least partly of ironwood. The limited use implied by Hartwig fits well with Von Breitenbach's (1974) observation that the early foresters left a disproportionate number of large black ironwood trees standing, because with only hand-powered tools, it was much more profitable to go after yellowwood and stinkwood - for the effort involved in felling and removing one ironwood, they could process several of the other trees. Nonetheless, Von Breitenbach reports that the wood is suitable for sleepers, piles, flooring and veneers. One can imagine that the objection to making furniture out of the solid wood is that the results would be so heavy as to be almost immovable. The use of these trees for firewood, and (while living) for shelterbelts and as ornamentals is recorded. This is definitely a tree you plant for your grandchildren. It grows slowly, but lasts for ever in a garden, and you are unlikely to see the full glory of your handiwork in less than a hundred years after you have planted it. Some related trees are known to live for 2000 to 3000 years; the lifespan of ironwood trees in cultivation is not known, but is unlikely to be much less than that. So, to visualise what a mature tree would look like in a garden, I cannot do better than to suggest you go to Durban Botanic Garden and seek out the two centenarian ironwoods, one either side of the path a few yards north of the Spanish mahogany. The hard wood and potentially vast age of these trees suggest that some planning is necessary before deciding to plant one. It would be the wrong choice in, for example, a shopping centre parking lot, where the management are unlikely to resist the temptation to flatten everything for building for more than about ten years at a stretch. But in partial shade in an area that will remain a large garden for centuries, there can be few finer trees. Gardeners rich in time rather than space may wish to consider growing black ironwood as a bonsai rather than in open ground. Seedlings and, occasionally, saplings can be bought from a good indigenous nursery. This is probably a more desirable way of acquiring plants than germinating seed, not only because the seeds will (presumably) have been harvested legally, but also because seeds are known to take four to six months to come up. Their progress after that is just as leisurely. Plant your new tree according to the method described by Carr (1994), which will enable it to get established relatively quickly. These trees have some tolerance to drought and frost, so a relatively sheltered, well-watered site is probably helpful. Once your tree is established there is little short of a direct hit from a small nuclear device that can harm it - the wood is so hard that it is more likely to destroy an unwary feller's tools than the other way around! Boon, R. 2010. Pooley's Trees of eastern South Africa: a complete guide . Flora and Fauna Publications Trust, Durban. ISBN 9780620460194. Carr, J.D. 1994. The propagation and cultivation of indigenous trees and shrubs on the Highveld . Sandton Nature Conservation Society, Johannesburg. ISBN 0620184620. Crous, P.W., Rong, I.H., Wood, A., Lee, S., Glen, H., Botha, W., Slippers, B., De Beer, W.Z., Wingfield, M. & Hawksworth, D.L. 2006. How many species of fungi are there at the tip of Africa? Studies in Mycology 55: 13-33. Green, P.S. 2002. A revision of Olea (Oleaceae). Kew Bulletin 57: 91-140. Hartwig, G.L.F. 1973. Early uses of indigenous wood. In Immelman, W.F.E., Wicht, C.L. & Ackerman, D.P. ( eds ), Our Green Heritage 39-51. Tafelberg, Cape Town. ISBN 062400372. Kupicha, F.K. 1983. Oleaceae. in Launert, E. ( ed . ), Flora zambesiaca 7,1: 300-327. Mabberley, D. 2008. The Plant Book , edn 3. Cambridge University Press, Cambridge. ISBN 9780521820714. Raimondo, D., von Staden, L., Foden, W., Victor, J.E., Helme, N.A., Turner, R.C., Kamundi, D.A. & Manyama, P.A. (2009). Red List of South African plants 2009. Strelitzia 25. SANBI, Pretoria. Van der Merwe, I. 2002. The Knysna and Tsitsikamma Forests . Chief Directorate: Forestry, Department of Water Affairs and Forestry, Knysna. ISBN 0621288462. Van Wyk, A.E., Van den Berg, E., Coates Palgrave, M. & Jordaan, M. 2011. Dictionary of names for southern African trees . Briza Academic, Pretoria. ISBN 9781920146016. Von Breitenbach, F. 1974. Southern Cape forests and trees . Government Printer, Pretoria. ISBN 0621005967.